If you are looking to step up your effort in looking after your heart health, today’s technology can offer new ways to do so effortlessly. With most of us using smartphones and tablets in our daily lives, smart devices have become a great health accessory to give us insights into our bodies and can serve as a new way to screen for potential heart problems. And with one in three adults living with a heart condition, many of these unaware or undiagnosed, it’s time to learn how to use technologies such as Apple Watch and iPhone to keep your heart health in check, including how to measure ECG on Apple Watch. Can Apple Watch measure ECG? Apple’s newly launched Apple Watch 4 promises ECG capabilities allowing users to obtain a 30 second ECG reading to gain more insight into user’s heart health. Older models of Apple Watch can measure heart rate and announcements were made about using Apple Watch in studies detecting atrial fibrillation, a common heart arrhythmia. Apple Watch is equipped with a sensor called a photoplethysmogram (PPG) on the underside, where the device makes contact with the skin. 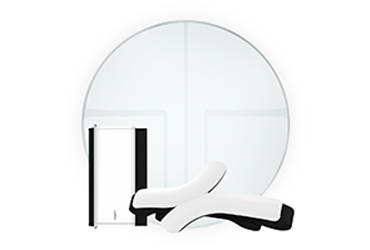 The PPG uses light-based technology to detect information about heart rate and blood flow. By shining green and infrared LEDs onto your skin and detecting the changes in reflection as your arteries expand and relax with each heartbeat. This is how the Apple Watch is able to tell you how quickly your heart is beating and detect changes in your heart rate over time. Your heart rate is certainly one of the most important vitals when it comes to tracking cardiovascular health, but your heart rate does not tell you everything that you need to know about your heart. The Apple Watch PPG sensor is limited in that it can only detect what happens after each heartbeat. It doesn’t provide any information about what might be impacting your heart rate or rhythm, or what is actually happening inside your heart as it beats. An ECG is different because it tells you a lot more by recording the heart’s rhythm and electrical activity. Learn all about ECGs here. While Apple Watch 4 can record a 30 second ECG, which can be an important initial step for clinical screening, there are some important limitations set by the FDA that are vital for users to understand. The Apple Watch is not intended for people previously diagnosed with Atrial Fibrillation (AFib) or other known arrhythmias and is not intended for informational use. This is related to the fact that Apple Watch cannot take a continuous ECG reading which is what Holter monitors and QardioCore do. Qardio addresses the limitations of the Apple Watch with QardioCore, our medical-grade continuous ECG monitor designed to replace holter monitors which are currently used to monitor the heart performance continuously over longer periods of time, usually for several days. QardioCore eliminates many of the issues holter monitors present such as discomfort, low quality of trace or the lack of real time data access. Unlike these traditional holter monitors QardioCore records over 20 million data points a day, doesn’t use wires or patches, streams data for immediate data analysis and provides additional metrics for a more efficient heart health diagnosis. 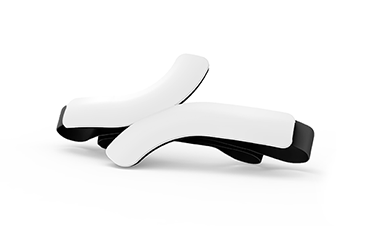 Unlike Apple Watch, QardioCore can be used by people previously diagnosed with heart issues such as AFib. When a user wants a more in-depth look into their heart health and further investigate their Apple Watch readings, QardioCore is the device to do that. It can be worn for as long (or as little) as needed to catch many common heart issues – and this is possible when the user is active as well. The data can also be seamlessly shared with a healthcare provider in real-time via our doctor-patient platform, QardioMD. Users can send a sample 30 second ECG strip to their doctors for review just as Apple Watch 4 can do. Doctors may also access user’s entire ECG recording via QardioMD dashboard for an in depth beat-by-beat analysis for diagnosing arrhythmias. Continuous ECG monitoring means that your ECG is always being recorded, which can translate to a better chance to catch asymptomatic arrhythmias. Taking a 30 second measurement periodically means that it can only catch arrhythmias if you are experiencing abnormal rhythm at the exact time that you are taking the 30 second ECG. Both Apple Watch and QardioCore offer a better, more powerful tool for heart health screening and monitoring and can save time and money for both doctors and patients. Why should I track irregular heartbeat? Irregular heartbeat can be a sign of a heart condition such as atrial fibrillation or tachycardia, both conditions related to abnormal heart rhythm. As screening for such common but serious conditions is not part of routine health checks, they may go unnoticed for years. This includes conditions such as atrial fibrillation (AFib or AF), one of the most common types of heart arrhythmia. During atrial fibrillation the upper chamber of the heart (the atria) beats quickly and irregularly. While AFib can can be asymptomatic, it has the potential to grow into a very serious condition resulting in pain, dizziness as well as heart failure and other heart-related complications. Becoming aware of abnormal heart events can prove to be a life-saving exercise. How do I know if my Apple Watch detected a heart problem? If you are using Apple Watch or an Apple Watch accessory to track abnormal heart rhythm and such cardiac events are spotted frequently, you might want to discuss with your doctor the need for further investigation. To confirm a heart arrhythmia, your doctor is likely to suggest an FDA approved method that usually involves a longer period of continuous heart monitoring with a medical grade device such as a Holter monitor. QardioCore can perform such monitoring without the need for wires and patches that Holter monitors require. How can I measure ECG with Apple Watch myself? 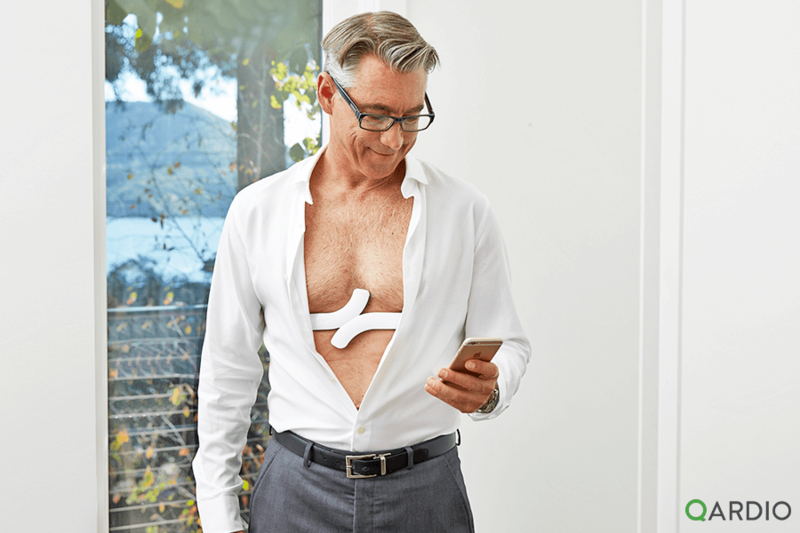 QardioCore is a medical grade ECG monitor that continuously records an ECG signal on your chest, which is the way a traditional Holter monitor and other FDA approved and medically accurate heart monitors record the heart’s electrical signals. It works with an iPhone and Apple Watch so you can track your heart health easily and share the data with your doctor automatically. QardioCore and Apple Watch work together to provide you the most in-depth heart health analysis in real time. With a simple glance at the wrist, you can see in the Qardio App for Apple Watch your vital QardioCore data, including heart rate, heart rate variability (HRV), respiratory rate and current activity levels. What’s the best way to rule out a heart condition? Only a trained professional such as a cardiologist can confirm or rule out a heart problem. They will do so by monitoring your heart for several days or even a few weeks continuously, making sure that also asymptomatic events are captured. They will use devices that are designed and approved for such continuous, long term test such as Holters, patches or QardioCore. They will review the ECG trace and look for potential heart problems such as arrhythmias. So although Apple Watch and blood pressure monitors offer an easy and convenient way to start screening for heart problems, they are not designed to actually diagnose the presence of a such condition. If you believe you might be at risk for a heart condition or have a family history of heart disease talk to a doctor right away. It is never too early or too late to start monitoring and screening for signs of heart problems. QardioArm is the smart blood pressure monitor that connects with your smartphone, tablet, and Apple Watch. With QardioArm monitoring blood pressure and heart rate, recording instances of irregular heartbeat, it has never been easier to take care of your heart health. QardioCore is the continuous ECG monitor that works with your iPhone and Apple Watch and measures heart rate, heart rate variability, skin temperature, respiratory rate, physical activity and more. QardioCore wireless ECG monitor is particularly suited for people with an increased health risk caused by a family predisposition or history of heart attack, stroke, high blood pressure, high cholesterol, diabetes or excess weight. Track your health the smart way.